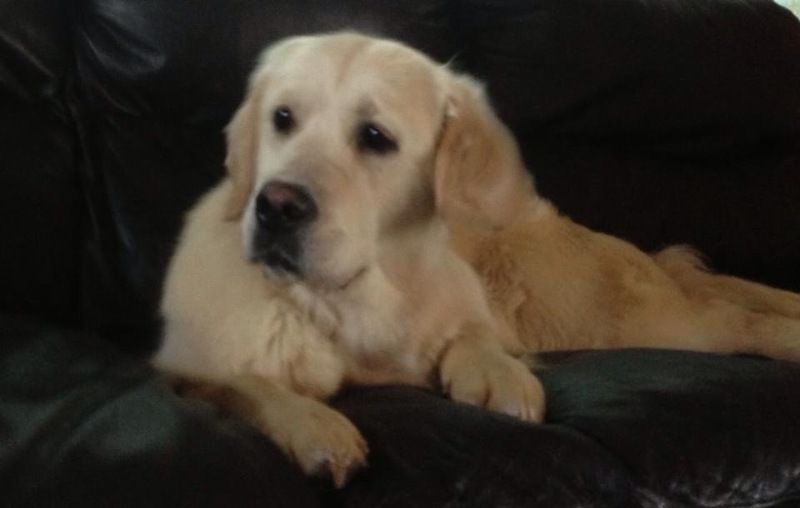 Rainy is a beautiful British Import Style Golden Retriever. 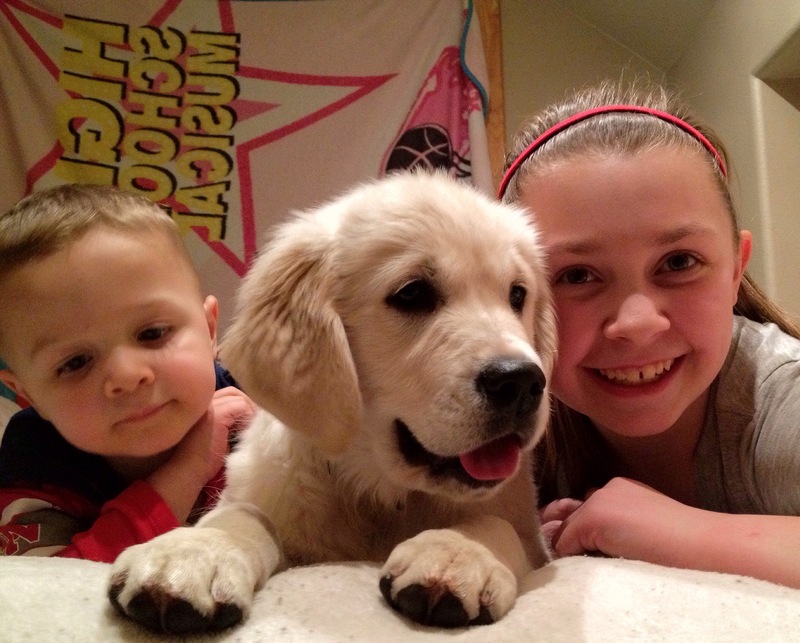 Rainy joined us at eight weeks of age from England out of Motlaisa Golden Retrievers. 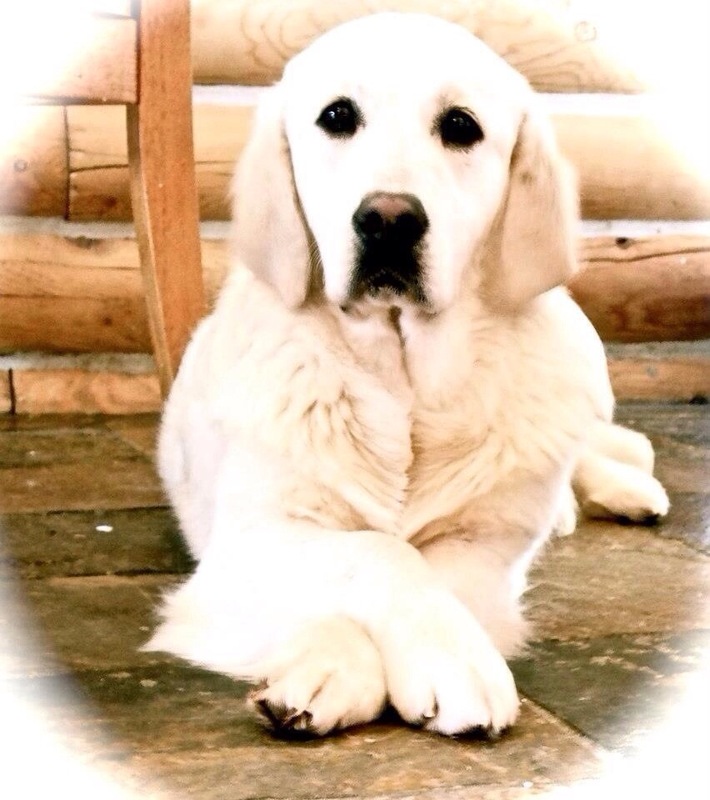 A warm Thank you to Mary and Tony Murley for their trust in us with their breeding lines. Rainy is very special. Owned by April Fulk and Mikala Mudrick. 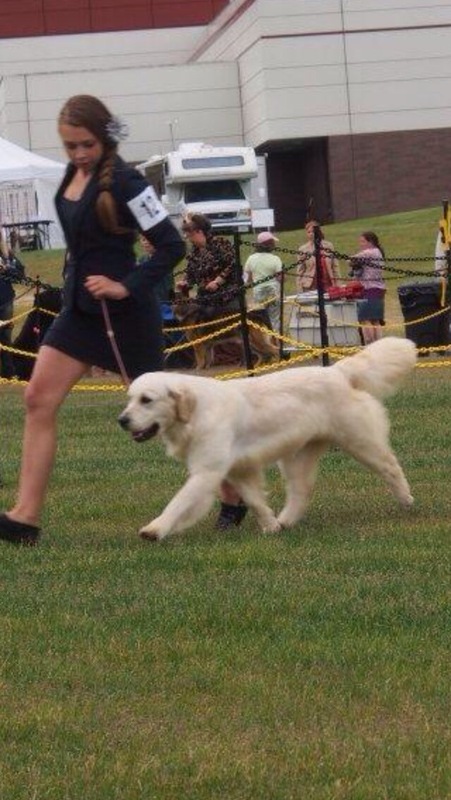 Mikala began Rainys confirmation show ring time gaining 6 first place ribbons, having loads of fun at the shows. Rainy was born November 13, 2011 Coat is very true to that of the British Type. Full, cream, thick/double coated, soft to touch. She is very well structured with a lovely British Type head piece. 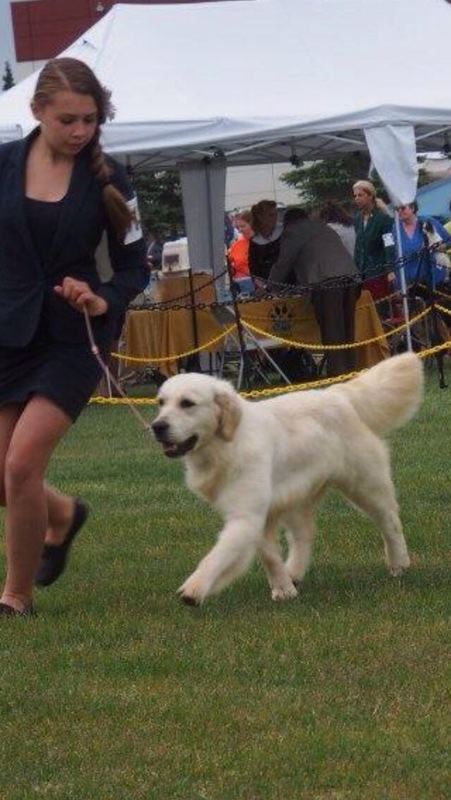 We have a breeding planned for January 2015 with International Show Champion, Multi Champion ( Int. Sh. 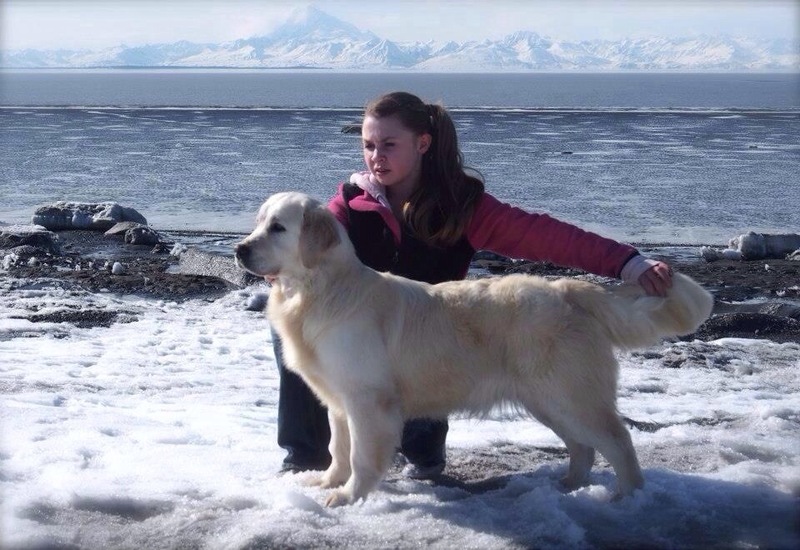 Ch ) Majik Truth or Dare BDSG ’10, Amsterdam Winner ’10 We have awaited years to have offspring from Nigel owned by Kelly Wibbelink-Bastiaanssen @Kennel Dutch Consolidation Some may refer to ‘British’ as English Golden Retriever however it is an incorrect term. 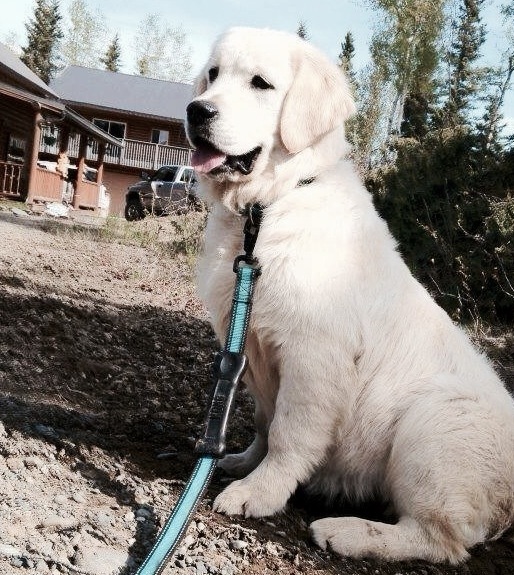 White Golden Retrievers do not exist, in fact they are a cream shade (correct to UK breed standard, not American).